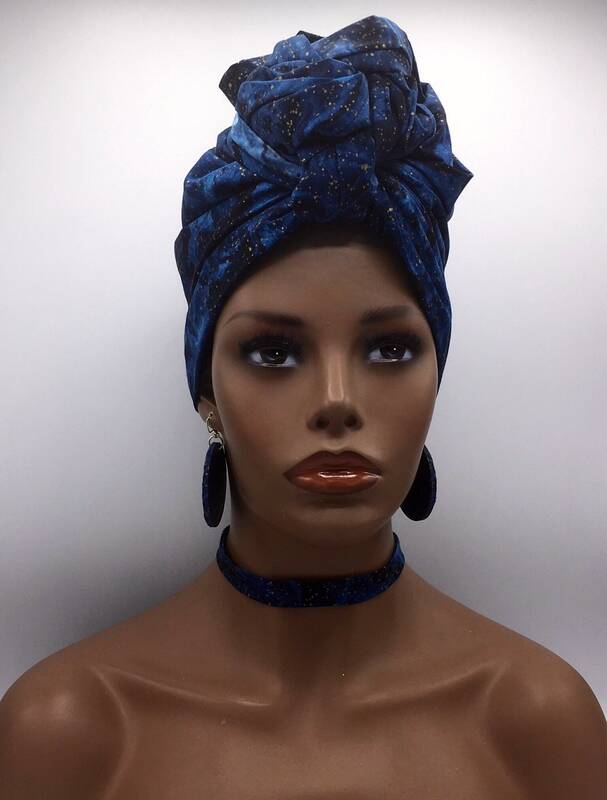 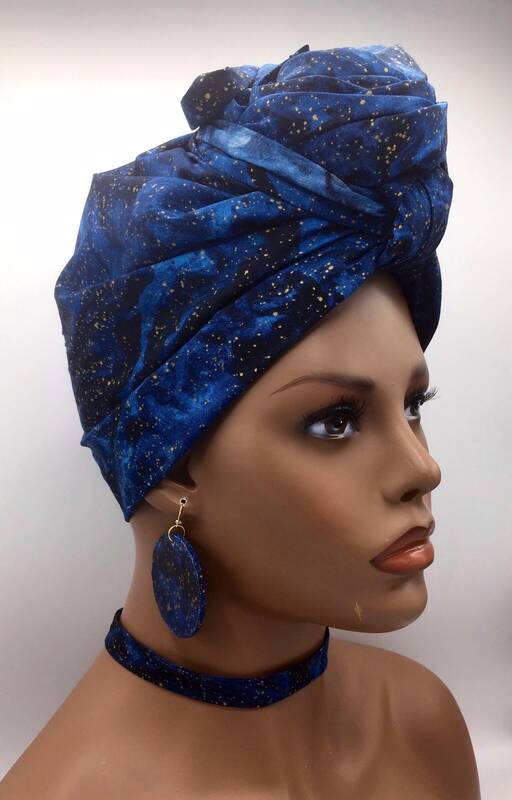 This stunning head wrap is made with premium cotton fabric. 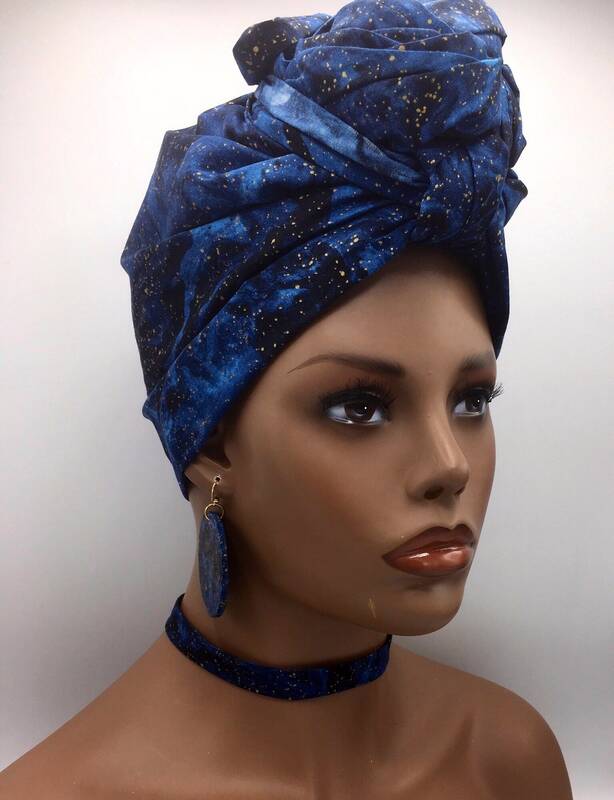 Denim blue makes this wrap great for casual or any occasion. 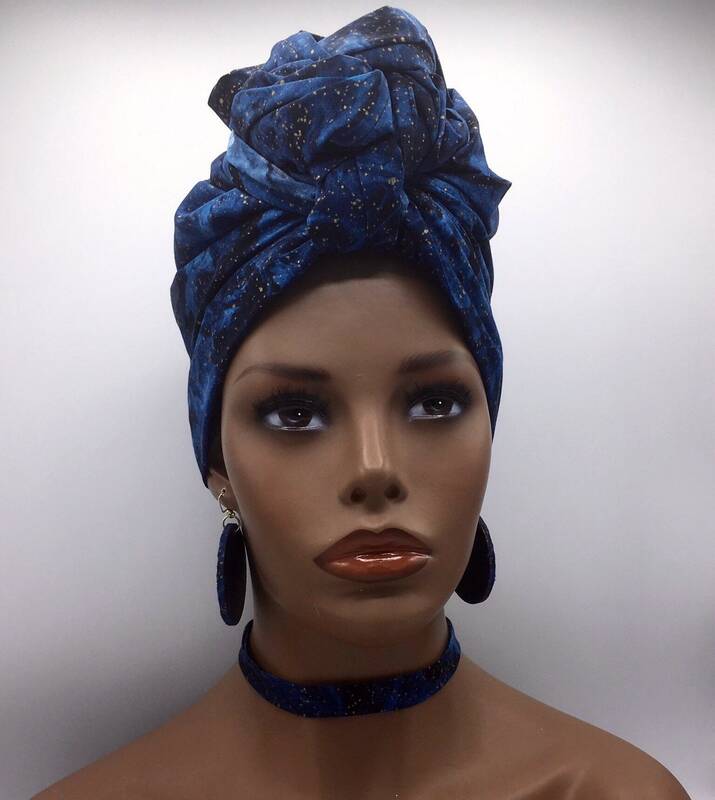 There are many ways to wear and tie it so you’ll be able to achieve the perfect look for you. 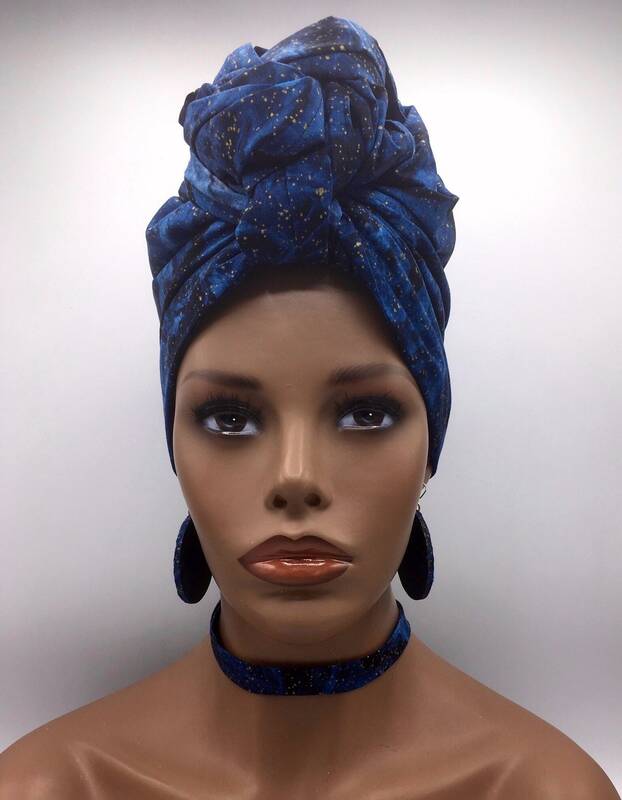 The wrap is one sided. 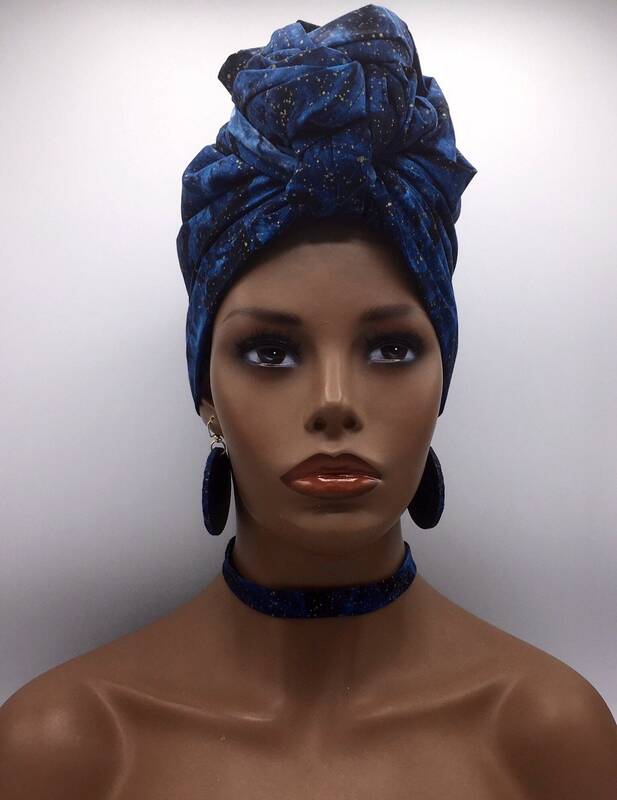 It can also be worn as a scarf, shawl, or sash.